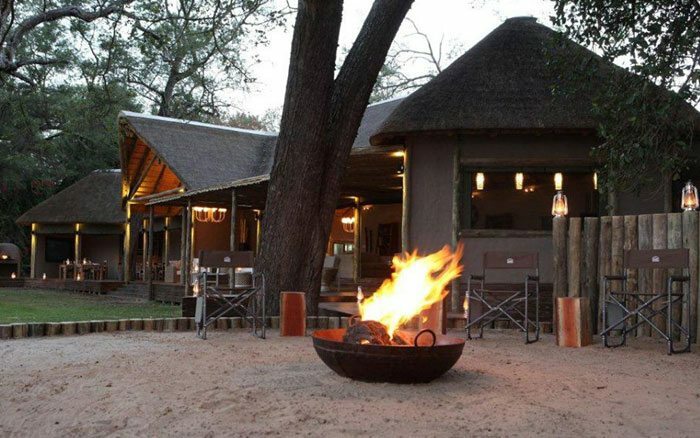 Shakawe River Lodge offers comfortable accommodation in the Okavango panhandle in northwestern Botswana. 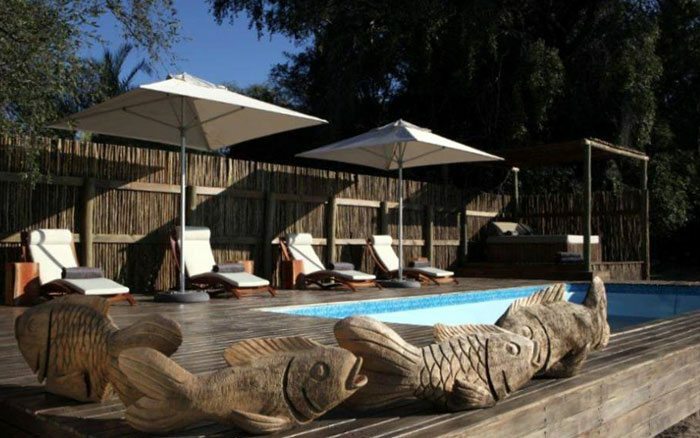 It sits alongside the Okavango River and offers fishing, bird watching and various excursions to fill your days. Public areas include the dining area, bar and lounge. 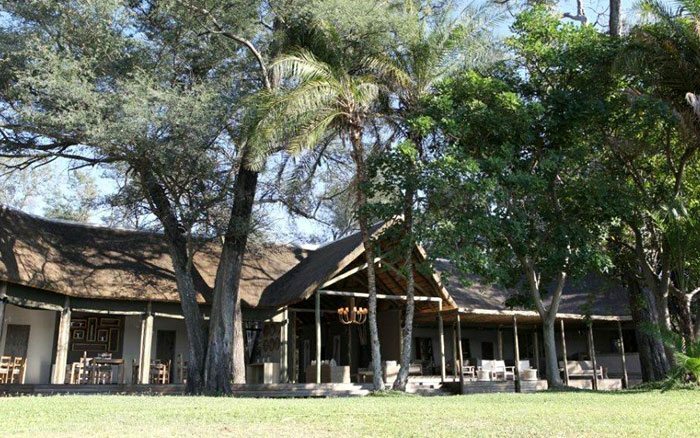 There’s a large deck looking out over the river where al fresco meals and sundowners are served. With an Italian chef you can be assured that meals with be delicious and the pizzas should not be missed! 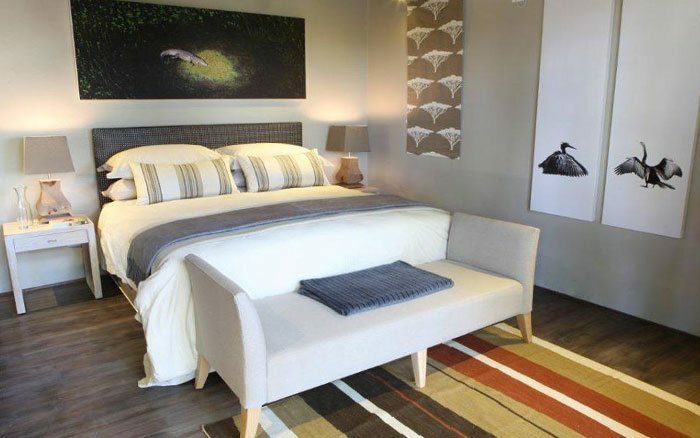 The lodge is filled with African artwork which adds local colour. A second deck is perfect for sunbathing and incorporates a swimming pool, a real asset on hot days. 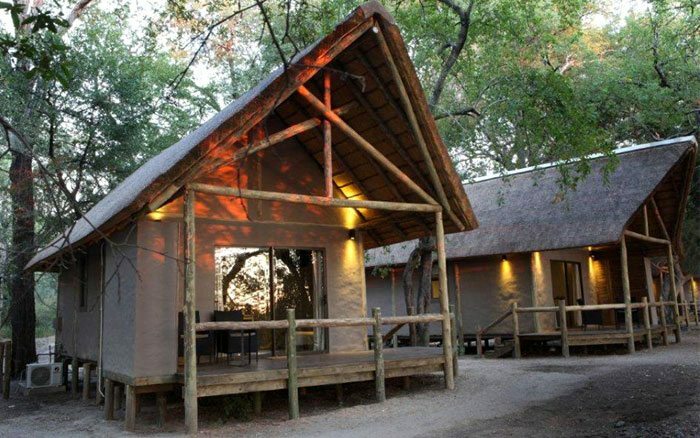 Suites are set back at the edge of the forest where trees provide shade and shelter. 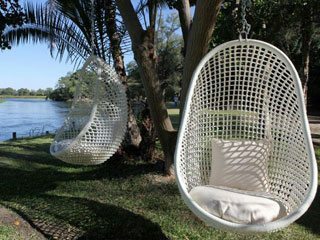 Set on raised platforms, they all face the river and have private terraces where you can chill out and watch birds by the water. Sliding glass doors lead to the bedroom which is kept refreshingly cool by air conditioning. Walls are painted in subdued, natural tones complimented by contrasting textiles and colourful rugs. Fishing is the lodge’s main draw. The Okavango River has a healthy population of fish including tigerfish, which provide great sport for anglers of all abilities. There are five boats for fishing trips, each with an expert specialist guide dedicated to giving you an enjoyable experience. You can also take boats out looking for birds, again with a specialist guide helping you identify the different species, among them African skimmer, heron, kingfisher, fish eagle and perhaps Pel’s fishing owl, one of the largest owls in the world. The well-known San rock paintings at Tsodilo Hills are a couple of hour’s drive away and are a fascinating glimpse into an ancient world.